Congratulations to all the Muslim on the Holy day of Eid-e-Milad-un-Nabi (PBUH). Gourmet is the largest food retail chain of Pakistan. It is the number one brand in the market due its quality products & valuable services. Our aim is to be the best food company by fostering open communication and teamwork between our customers and our employees. 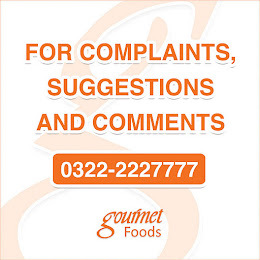 Gourmet Foods is well recognized organization in Lahore, Punjab & all over the Pakistan. For more detail visit Gourmet Foods Pakistan Official Website www.gourmetpakistan.com. You And Your Guests Can Enjoy The Finest In Food, Elegance And Service! Relax while your guests delight themselves as they are catered to cordially and courteously. Smile as you see the business of entertaining become charming, elegant and hassle free before you. Enjoy watching your guests as they are not only well fed, but well served and satisfied too. Your party, event or function will be a hit and you will be remembered as the ever-so-gracious host or hostess! Isn't that what you want in a catering service? Whether it's a corporate, VIP, formal, a gala event, a small or large office party, a laid back private gathering, a wedding or funeral reception or even a romantic evening at home, you can enjoy the absolute best in catering services anywhere in Lahore. Whatever the event it will be catered appropriately and to your personal requests! Even if you just want food catering that is our pleasure too. Catering Services Lahore is your one stop destination for all that spells fine dining and hospitality. 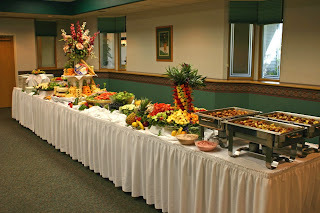 You will enjoy the highest level in "at your service catering"! You're probably thinking though, "Well, How do I know if these guys will really deliver the goods, I mean, after all, everyone SAYS they're the best." Tentage, Carpets, Round Tables, Chairs, Crockery, Cutlery, Linen, and Glassware. 10 Single Seat Sofas on every 100 Guests. Tentage, Carpets, Round Tables, Chairs, Crockery, Cutlery, Linen, Glassware. Gourmet Foods launched Bon Vivant (Bo Vi-van). This is a premium quality product range. Cakes (Death By Chocolate, Kit Kat Chocolate, Malt Chocolate, Swiss Hazelnut, Peach & Orange, Strawberry Cheese, Blueberry Cheese and more. Pastries Strawberry Delight, Blueberry Delight, Kit Kat Chocolate, Mississippi Mud and more. The products are made from high quality imported ingredients (mostly). The ingredients are added in rich quantity in every product. Each product is produced under strict controls & high standards of quality. 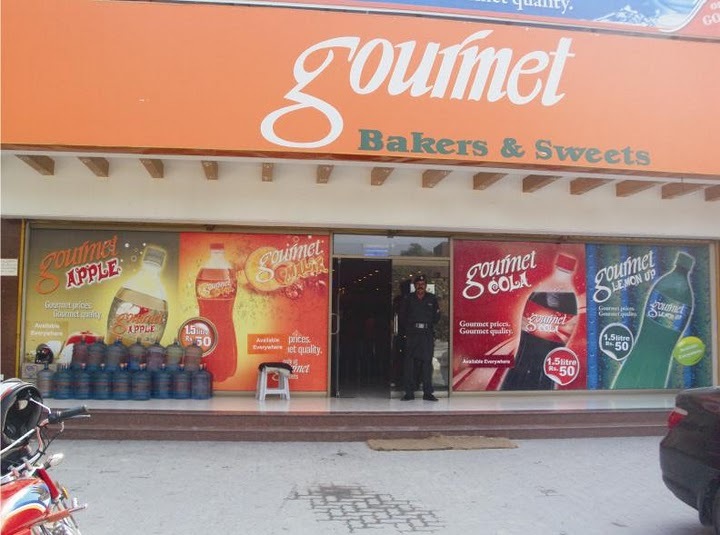 Gourmet Foods is one of the fastest growing Foods and Confectionery stores in Pakistan, is leading manufacturer and marketer of Baked and unbaked desserts, Breakfast Pastries, Beverages products, Restaurant, Dairies products, Jams and Jelly, Catering Company and Pharmacy 24/7. Phone Number must be enter.